Dirty Dancing – The Classic Story On Stage is set to samba into the West End for a sensational thirty performances. Following the hugely successful UK tour, the musical opens at London’s Phoenix Theatre for a limited run beginning December 6th. Best-known for the steamy 1987 film starring Patrick Swayze and Jennifer Grey, Dirty Dancing is the passionate dance-based romance. Set in the summer of 1963, Baby Houseman and her family are on holiday at a swanky resort. Left to her own devices, Baby stumbles across a rather raunchy staff party, where the dance moves are sultry, sweaty and downright dirty. Catching the eye of the dance instructor, Johnny Castle, Baby vows to become a dancer, throwing herself into becoming Johnny’s leading lady – both on and off stage! Lewis Griffiths and Katie Hartland star as Johnny and Baby, opposite Carlie Milner as Penny Johnson. 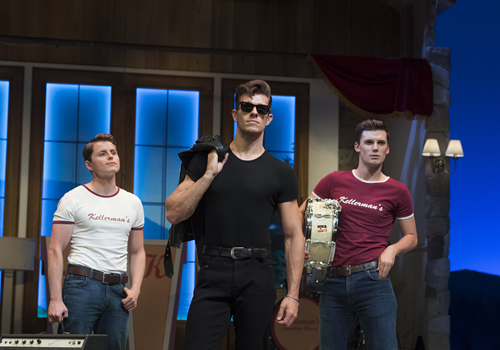 Both Hartland and Milner joined the Dirty Dancing cast as their acting debuts, whilst Griffiths has racked up West End credits including Jersey Boys, Ghost and Legally Blonde. Further cast members include Simone Craddock as Marjorie Houseman, Roger Martin as Max Kellerman, Jo Servi as Tito Suarez, Lizzie Ottley as Lisa Houseman, Michael Kentas as Billy Kostecki, Greg Fossard as Neil Kellerman, Tony Stansfield as Mr Schumacher, Daniela Pobega as Elizabeth and Camilla Rowland as Vivian. Directed by Federico Bellone, with iconic choreography by Gillian Bruce and design by Roberto Comotti, Dirty Dancing – The Classic Story On Stage features a huge cast of 37. Featuring famous songs such as “Hungry Eyes” and “(I’ve Had) The Time of My Life”, this powerfully passionate musical opens at the Phoenix Theatre on December 6th, playing a limited season until December 31st 2016. 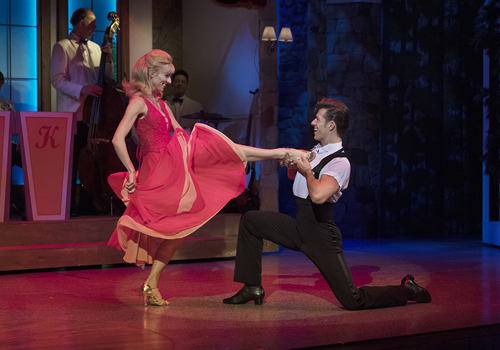 Dirty Dancing – The Classic Story On Stage is recommended for ages 12 and up.